September 20th, 2017, Puerto Rico was forever changed by Hurricane Maria, the strongest hurricane to make landfall in Puerto Rico in almost a hundred years. Our fellow citizens did their best to prepare for the unimaginable power of the storm. A humanitarian crisis of epic proportions ensued, leading to shortages of power, water, medical care, essential supplies, and even hope as residents saw no end in sight to the crisis. Many took it upon themselves to organize disaster relief efforts. 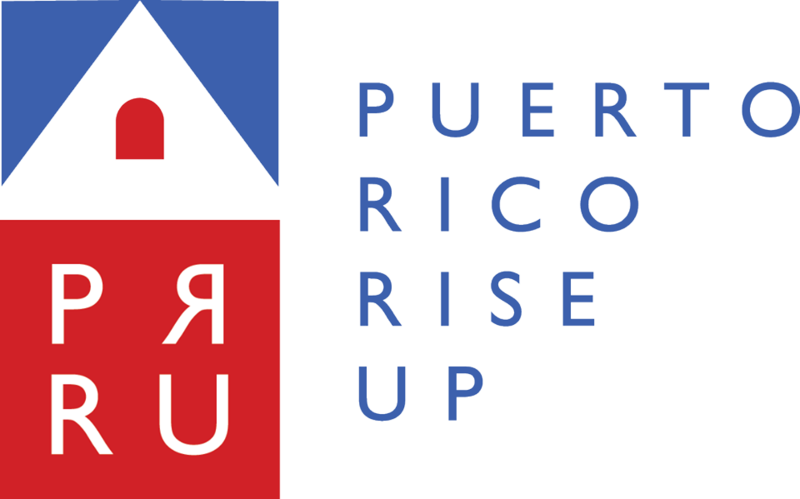 Puerto Rico Rise Up, Inc. is a 501(c)(3) nonprofit organization comprised of a group of professional Puerto Rican women that come from all walks of life with a common purpose: Bring help and comfort to those in need. We have a network composed of doctors and volunteers committed to renewing Puerto Rico. As the calamity unfolded, in just a few short weeks, our team bridged the different institutions, medical providers, and hospitals in the United States and Puerto Rico to provide medical care, equipment, and medications. This sisterhood is working tirelessly to meet the ongoing needs, many of which surpass our capabilities as individuals. The full restoration of Puerto Rico is a long-term and collaborative enterprise. Together, we can empower and uplift our citizens in Puerto Rico. We hope that you embark on this journey with us, as it is indeed an opportunity for you to make a positive, tangible impact on someone’s life.